BRUSSELS, Belgium -- Attempts by Ukraine to shed its dependence on Russian energy by organising reverse gas flows from EU countries have been met with strong reactions from the pro-Russia lobby in the EU. Although officially the EU Institutions have once again opened an anti-trust probe against Gazprom, the initiatives by Ukraine to put in place reverse gas flows, the re-buying of Russian gas sold to other countries, may lead to another gas scandal with Russia on the eve of the new heating season. Thanks to the efforts of Ukraine's leadership, talks on gas supply diversification have been followed by practical steps. On the basis of an agreement with the German company RWE on the reverse supply of gas, Ukraine has for the first time proved in practice that it can not only export gas but also import it from Europe if necessary. In November last year, Ukraine began importing gas from Germany through the territory of Poland in line with arrangements with RWE. Germany benefits from lower gas prices than other European countries. Since April this year, Ukraine has also started to get natural gas from Hungary. In addition, negotiations about the possibility of supplying natural gas to the Ukrainian gas transmission system are taking place with gas transport operators in Slovakia and Romania. This spring Ukraine launched tests for gas supplies from Slovakia. However, it is impossible to on to go about permanent deliveries. Gazprom hinders this and refuses to export gas to RWE through the territory of Slovakia. Gazprom has got financial leverage on Slovakia. The Russian gas monopoly reserves and pays for about 90% of transit capacities of the Slovak gas transport system. The Slovak operator Eustream is happy with this so far, and doesn't intend to revise its transit contract with Gazprom yet. Especially as Gazprom even suggested granting a gas price discount. Russia considers that Ukraine physically has no opportunity to get reverse gas supply from Europe. According to the Gazprom head Alexey Miller, Ukraine actually doesn't import gas, but uses transit Russian gas for its virtual reverse. According to Russia, this is the violation of the existing contracts. And as for now, Ukraine is shrinking its consumption of Russian gas. In 2011 Ukraine bought about 40 billion cubic meters (bcm) of gas. In 2012 this figure was cut to 33 bcm. The forecast of the government for the current year is 27 bcm. In the meantime, due to the debts of Naftogaz, Ukraine is getting into greater energy dependence from Russia. At the end of September, the parliament of Ukraine approved guarantees for Gazprombank's credit to Naftogaz for the sum of €365,4 million ($505 million). Concurrently, in October President of Russia Vladimir Putin declared that the loan amounting to €549 million ($758 million) was granted to Ukraine. Amid Ukraine's declarations about the reduction of Russian gas purchases up to the volume of 27.3 bcm this year, Gazprom's concessions in the question of expansion of gas pumping once again testify to the absence of desire to reconsider the provisions of the contract signed in 2009. In mid-October this year Gazprom representatives reported that the chairman of the board of the company, Alexey Miller, met with the prime minister of Slovakia, Robert Fico, in Bratislava. During the meeting the special attention was paid to the supply of Russian gas to Slovakian consumers and its transit to third countries. Russian media did not fail to point out that the negotiations took place against the background of attempts by Ukraine to use Brussels pressure to persuade Slovakia in the strategic and financial benefit from the reverse flow of Russian gas to Ukraine. However Slovakia, in the light of the last year's arrangements with Russia about the discount for gas and payment for the transit lost earlier due to the Nord Stream launch, opposes this scheme. This year, Ukraine has sharply reduced purchases of the Russian gas. The main reason lies in the high price of Russian gas and in Russia's reluctance to compromise on the revision of its pricing formula. Attempts by Ukraine to escape Russian dependence by organising reverse supply from EU countries has predictably been encountered by the activation of the pro-Russian lobby in the EU. 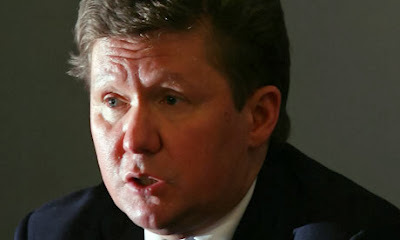 Gazprom has declared that the reverse pumping of gas from the EU is illegal and urges Kiev officials to adhere to the provisions of their contract on gas supply. The government of Ukraine is trying to diversify gas supplies, the high prices for the Russian gas being the best motivation. Reverse gas flows from EU countries present a chance to save money and redistribute it for social needs. Today EU countries and their companies play a part in the tension over the high price of Russian gas in Ukraine. And it’s not about the forthcoming Eastern partnership summit in Vilnius, Lithuania. The Russian gas monopoly on the EU market has been stirring irritation in EU countries for a long time. EU countries realised too late what was behind Gazprom's "kindness", as the company gives discounts for its own gas with one hand, and with the other it systematically carries out the policy of buying up gas transport capacities in these European countries. Nowadays, the gas reverse from the EU is a real alternative to Russian gas, although over the next three to five years Ukraine will be able to receive a considerable increase of internal gas production as a result of developing shale and deep water shale gas. The government of Ukraine has already signed all the necessary agreements with the companies Shell, Chevron and ExxonMobil. The European Commission does not see any contradiction in the re-export of Russian gas to Ukraine with regard to EU legislation. Besides, less Russian gas in the European market influences directly and favourably the spot gas prices, to the advantage of the European consumer. And on the eve of the heating season, this advantage is at least as relevant as the probability of aggravating Russia-Ukraine relations.